Sandisk Extreme Pro 600X (Página 74). La soledad le escribe cartas al olvido (Página 88). Las Fotos del mes de Blipoint (Página 140). Grupo Foto DNG en Flickr (Página 142). Séptimo concurso Fotográfico Foto DNG (Página 150). 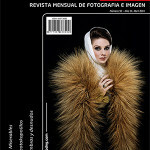 This entry was posted on jueves, agosto 23rd, 2012 at 09:30	and is filed under libros / revistas, recursos web. You can follow any responses to this entry through the RSS 2.0 feed. Both comments and pings are currently closed.